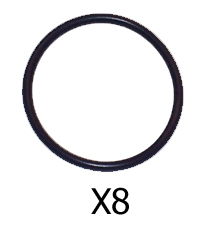 Ignition Coil O-Rings for a 4.7L V8. Fits 99-01 WJ Grand Cherokee. Rings install in lower groove below main blue ring. Sold as set of 8.